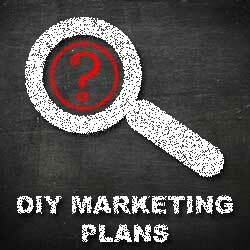 Marketing plans what are they and do you need one? A professional Marketing Plan will help your business reach your target audience, boost your customer base, and ultimately grow and maintain your business. Developing a good marketing plan requires, research, time and commitment, but it is a very valuable process that will significantly contribute to your businesses success. Why does your business need marketing to succeed? Let’s face it your business is not going to survive for very long if you don’t have any customers. For your business to attract and retain customers you must understand the value of marketing. It is unlikely that people are going to simply walk into your business and buy something if they don’t know who you are or what you’re selling. Most small business owners don’t place enough importance on marketing. They often see it as something that requires a lot of money and fancy advertising campaigns. However, marketing is much more involved then advertising and sales. 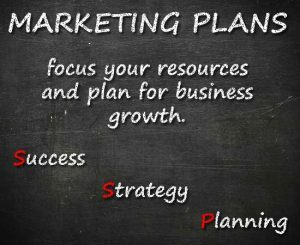 A marketing plan is a strategic document designed to help you focus your resources and plan for business growth. A marketing plan helps you to understand the different factors that may affect your businesses success. As a business owner you should not be worrying about the future of your business, with careful planning you can actually have a sense of control over your business and income. Position your brand, products and services so that your target market sees your business as being better or different to your competitors. To write effective marketing plans you will need discipline, time and focus. The process can seem challenging, but it is also rewarding, creative and fun. DLM Marketing has options for people wishing to complete their own marketing plans, you can down load a copy of our marketing template for professional marketing plans or we can do part or all of the marketing plan for you. Allow DLM Marketing to complete your marketing plan for you that way you can concentrate on the most important part of your business – the product or service you sell. Without market research all you marketing efforts are essentially just a gamble. This is probably the most important part of any marketing plan. The quality of your information will ultimately influence the quality of your marketing plan. It is common for people to have this section of a marketing plan professionally done. Primary data – this is data which is collected directly via surveys, observations, experiments etc. Part 1 – Target market opinions and behaviours. This is data you should collect yourself you don’t want to trust second hand outdated data collected by another company. There are numerous ways in which you can obtain this information some examples include: Focus groups, interviews, surveys etc. Selecting your sample – Try to make the selection process as random as possible this will prevent bias data.
. You must know who they are. Gather statistical information regarding your target market’s demographics, market segment, needs and buying decisions. You need to create a personal profile of your ideal customer. By being able to accurately identify your target customers, you will be able to maximise the return on your advertising budget with pinpoint accurate advertising messages. Are you customer’s male of female? Is geography a limiting factor for these customers purchasing your products or services? Does the culture of your target market affect their purchasing decisions? What social media do they use, frequency of use, time and location of use, what device do they use. Internet search behaviours – direct, search engines, referral links, preferred content type etc. Print media preference – posters, billboards, magazines, newspapers, flyers, direct mail out etc. Secondary data – this is already known or published data. Part 1 – Objectives: Decide what information you need to know to help you achieve your business and marketing objectives. This information should be documented and published in your marketing plan. Part 2 – competitive analysis: Compile a list of all your potential and current competitors you should do a competitive analysis on each competitor and publish this in your marketing plan doc as a table. Part 3 – Marketing channel investigation: You need to research your top ten competitors to learn what marketing channels they are using. This can be done by visiting their website, social media channels, browsing industry magazines / journals etc. This is essentially where you make sense of the data collected. This information will be the key component for making marketing strategies. You need to be confident that the research conducted was comprehensive. DLM Marketing can’t stress enough the importance of quality information gathered in the research phase of this marketing plan. Part 1 – SWOT Analysis: A SWOT analysis is a document that helps you identify Strengths, Weaknesses, Opportunities and Threats for both your own business and your competitors. Strengths – Characteristics of the business or project that give it an advantage over others. When deciding on each strength you should include a short description on why you believe a certain aspect is a strength. Keep in mind that a strength could also be a potential weakness. Weaknesses – Characteristics that place the business or project at a disadvantage relative to others. When deciding on each weakness you should include a short description on why you believe a certain aspect is a weakness. This is a good chance to discover potential areas of improvement and opportunities. Opportunities – Elements that the project could exploit to its advantage. When deciding on each opportunity you should include a short description on why you believe a certain aspect is an opportunity for potential gain. Threats – Elements in the environment that could cause trouble for the business or project. When deciding on each threat you should include a short description on why you believe a certain aspect is a threat. Part 2 – Examine primary and secondary data: You will need to display the data collected into tables and or diagrams. This will be useful in visualising and making sense of the data collected in the research phase of this marketing plan. Products are the goods and services that your business provides for sale to your target market. When defining a product you should consider quality, design, features, money dollars covering costs expenses packaging, customer service and any subsequent after-sales service. A marketing strategy is the way you make sure you’re getting the maximum return for your marketing budget and time. Part 1 – Define your media channels. How are you going to communicate / advertise your brand and products to your target market? Part 2 – Define your competitive advantage. Competitive strategies are very important. Competitive strategies are concerned with doing things better or different than your competitors. Pricing – If you have the ability to produce simular products to your competitors cheaper you can sell them at a more competitive price. This is possible when a company is the market leader and benefits from economies of scale. Point of Difference – All businesses should establish a point of difference over their competitors your point of difference may be Quality, Service, or Variety. Whatever your point of difference is you should be using it as marketing leverage against your competition. Part 3 – Define your main focus marketing message. It is essential to be consistent across all your marketing efforts this will help you build a strong brand. A focus message could be – “we are the cheapest” or “we don’t compromise for quality”. Think about all the well-known global brands they all have one defined message in which they incorporate into all their marketing communications. Ideally you would want to communicate your competitive advantage to your target market in a precise and clear way. Offers may include free trials, money-back guarantees, packages (e.g., combining different products and/or services) and discount offers. While your business doesn’t necessarily require offers, using them will generally cause your customer base to grow more rapidly. Again, refer back to the details on price wars and only have offers on for a defined period of time. Your pricing and positioning strategy must be aligned. For example, if you want your company to be known as the premier brand in your industry, having too low a price might deter customers from purchasing. In this section of your marketing plan, detail the positioning you desire and how pricing will support it. The worth that a product or service has in the mind of the consumer and the consumer’s perceived value of a good or service, affects the price that he or she is willing to pay for it. For the most part, consumers are unaware of the true cost of production for the products they buy. Instead, they simply have an internal feeling for how much certain products are worth to them. Thus, in order to obtain a higher price for their products, producers may pursue marketing strategies to create a higher perceived value for their products. For example, perfumes tend to be associated with a glamorous celebrity in order to create a mystique and perception of luxury. Alternatively, they may be the subject of elaborate and expensive advertising campaigns to create a strong image for the perfume. Consumers commonly do not realise that the costs of production for perfumes are relatively low. Thus, while the cost of production for perfume may be only a few dollars, the perceived value of a perfume can be far greater. A small business often uses low pricing too often to attract customers. This results in pricing their products or services too low to viably support the business. Many small businesses think that having the lowest price in the market will make them successful. It assumes you can take business from your competitors simply by publishing the lowest price. Your pricing strategy can ultimately determine your business fate in a small business. By managing your pricing strategy, small business owners can extend business longevity and produce healthy profits. Competitive situation: Look at your competitor’s whole product offering and don’t just look at their pricing. Are they serving only price-conscious customers or the high-end customer segment? Do they offer any value-added services? Determine your ceiling price: The ceiling price is the highest price the market will pay for your products/services. To determine your product/service pricing limits it is good to conduct a survey with industry experts and customers. You may also discover the highest price you find in the market may not be the true ceiling price. Understanding price elasticity: Ultimately, this is what will determine the range of pricing for your products/services. If the demand for your product or service is less elastic, then you can enjoy a higher ceiling on your prices. Low elastic demand will depend on if there are a limited number of competitors, your buyer’s perception of quality and if customers are not just looking for the lowest price in your product/service category. Having analysed the price/demand dynamics for your products/services, you can compare these results with your costs and profit goals previously established in your business plan or financials. A low price strategy should not be automatically assumed as the best pricing strategy and usually best avoided by small business. However, there are market conditions that might force a small business into a low price battle with its competitors, this is called a price war. A price war should be avoided at all costs. It can not only destroy you and those immediately located around you, but an entire industry. Below are some steps you can implement to avoid participating in a price war. Develop a strong brand: A strong brand is meaningful to your customer base and will always be able to command a higher price and avoid price wars. Offer obvious differentiation and value-add: Whether it is your company, product or service, be sure your customer base knows why you are different than your competitors and what your value-added proposition of doing business with your company is. Foster exclusivity or create a niche: Your ability to offer exclusive or niche products or services insulate you against declining prices in a price war. Discontinue unprofitable products/services: Always be re-assessing your product/service offerings and eliminate marginal or unprofitable ones. Replace them with new ones that customers want and will pay for their value. Carefully consider your price decisions. Your business will likely depend on it. A small business with a well thought out pricing strategy can avoid the temptation to price low and avoid price wars. Search Engine Optimisation (SEO) strategy: document updates you will make to your website so it shows up more prominently for your top keywords. Social media strategy: document how you will use social media to attract customers. Part 1 – In this section of your marketing plan you need to list all your marketing tasks in priority order. Some tasks may be a once off event while others could be reoccurring. Part 2 – Once you have your list of marketing tasks you will need to create a marketing schedule. In your schedule be sure to include regular dates where you will review your progress and make any essential changes to ensure you are on track to achieve your marketing and business objectives.